Home / Local / Trending / Viral / Nakakagalit! Principal, Tinanggalan ng Award ang Grade 1 Student Dahil Lang Kulang Pa ang Tuition Nito! Nakakagalit! 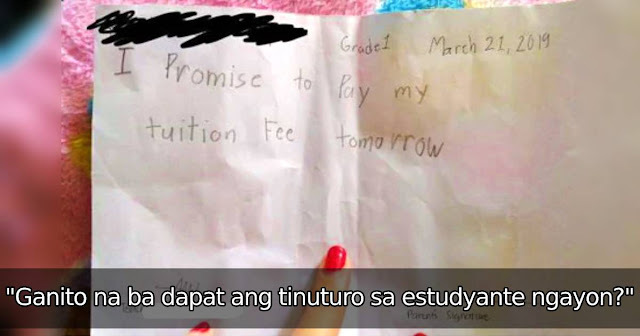 Principal, Tinanggalan ng Award ang Grade 1 Student Dahil Lang Kulang Pa ang Tuition Nito! As parents, there is literally nothing we will not do for our children, especially when it comes to their basic needs such as food, shelter, clothes, or education. It may be very difficult at times, but we always do our best to make ends meet. 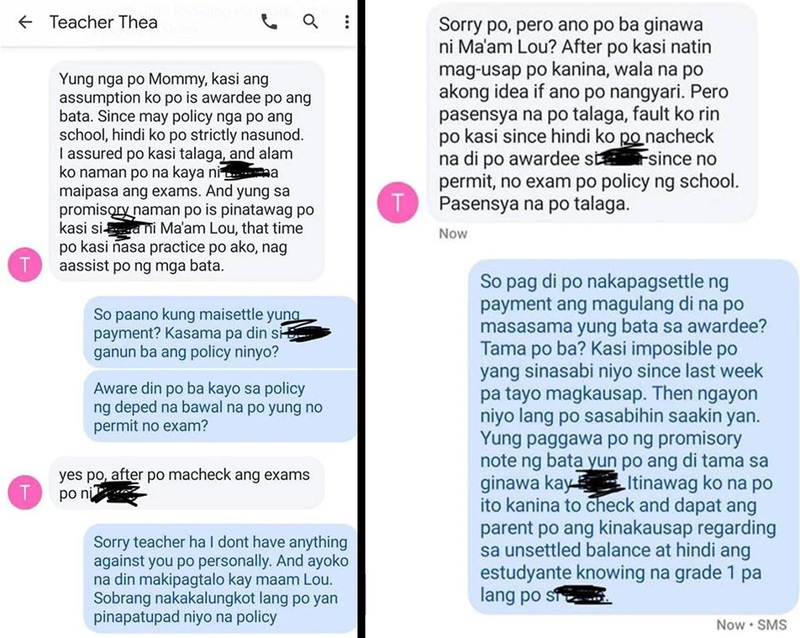 This is why it is very disheartening to hear about what happened to this Grade 1 student of the Our Lady of Lourdes School in Novaliches. It was shared by a friend of the student's mom on Facebook. According to netizen Clen Limpin, the mother is a hardworking parent who doesn't always have it easy. But despite their less-than-ideal situation at home, the first grade student was very smart and industrious. She was doing very well in school and was even bound to receive an award in their recognition rites. However, there was one hurdle that barred this student from actually receiving such award, and only because her mother had an unsettled account of P3,000 from the school. First, the principal asked the young first grader to write a 'promissory note.' It's saddening to see what the child wrote, and one can only imagine how humiliated the child felt while she was being forced to write this. As if this isn't embarrassing enough, the principal even had to remove the student from their list of awardees-- just because of the unsettled payment! This, a week after the student's adviser had already informed them that the child would be receiving an award! Of course, the mother thought all this was unfair-- the child had clearly deserved that award, and no person should be allowed to take such achievement away from a hardworking student just because her mother is still trying to save up for tuition! The mom sought the help of the kid's adviser, and this was how their conversation went (see above). What can you say about this? Was it really unfair or should the parent simply respect the school's policy regarding late payment?